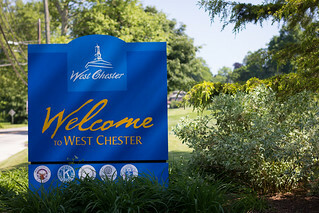 Just wanted to remind everyone of the many events happening throughout West Chester starting today! Check out the list below and visit www.figwestchester.com for more information on all the events! Visit Otto’s BMW today from 11 am to 6:45 pm and register to receive a $1,000 credit toward a new MY13 or MY14 BMW! This credit expires October 31, 2013. While you’re there, check out competitor vehicles to drive against several BMW models. Swingin’ Summer Thursdays continue tonight between High and Darlington Streets! The evening will feature jazz groups Venom Blues and TONEY along with food, artists, magicians, jugglers, and more. Starts at 6:30 pm! Head to downtown West Chester on the First Friday of every month for great shopping, delicious food, and more! Stores are open late, and refreshments and specials can be found all around town. See what’s going on this Friday here. Enjoy a perfect evening strolling through historic West Chester and browsing hand-picked selections of vintage home goods, antiques, collectibles, up-cycled and architectural salvage, vintage jewelry and clothing, original art and photography. Live jazz, food trucks, wine tastings, and more make this a must-do event this Friday! since i have book marked it. Money and freedom is the greatest way to change, may you be rich and continue to guide others.